We all have women in our lives that inspire us. Our mothers, daughters and sisters. Our friends, coaches and teachers. Our favorite soccer players, computer programmers and thought leaders. These women teach us how to code, how to shoot three pointers under pressure, how to deliver a flawless speech to a packed auditorium (imagining them in their underwear doesn’t work for everyone). There’s one thing they all have in common: they help us be more confident. And because confidence helps us turn our ideas into action, it’s an essential quality in helping us succeed. However, in a recent study, half of female respondents reported self-doubt about their job performance and careers, compared with fewer than a third of male respondents. The root of this gap starts early: between elementary school and high school, girls’ self-esteem drops 3.5 times more than boys’. Research shows that in order to close this confidence gap, girls need to see other successful women who do what they love. Whether it’s starting a business, joining the Army, being a construction foreman, playing sports in college or raising a family, having these role models and receiving encouragement from them assures girls that they can chase — and catch — their dreams. No matter how tough that might be, no matter what kind of obstacles get in the way. 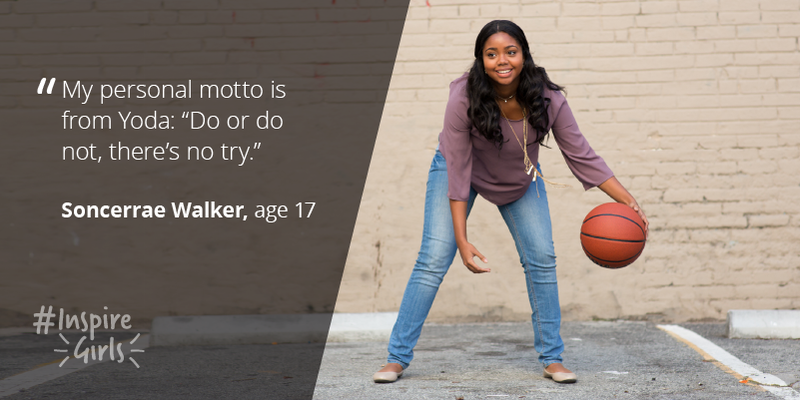 That’s why this year, in honor of International Women’s Day and Women’s History Month, we want to inspire the next generation of female leaders to dream, hack, hustle and create. We want to think about the future Sandra Day O’Connors, Oprah Winfreys, Edith Clarkes and Amelia Earharts. Eighty years from now, who will we celebrate during Women’s History Month? Who will we applaud and commemorate for changing the way we look at science, technology, business and education? They could they be our granddaughters, nieces, mentees. Let’s inspire them now. 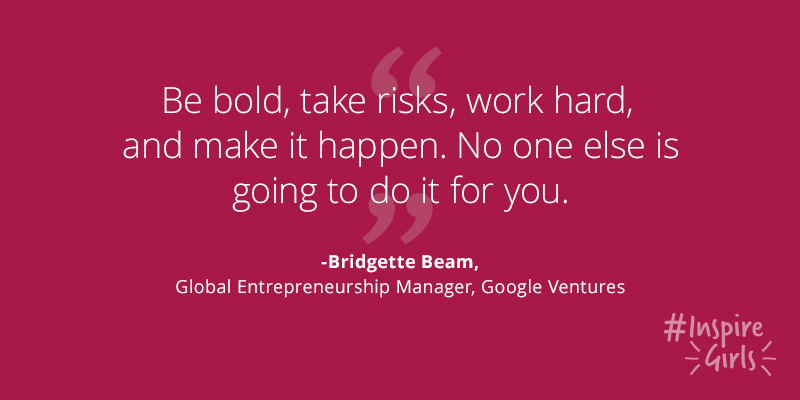 We invite you to join the conversation and share your own stories on Twitter and Google+ using #InspireGirls.